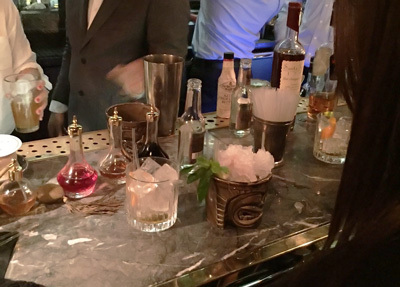 We were fortunate to attend a rum masterclass at the Coya bar and restaurant in Mayfair last week. The event was hosted by Mangrove UK, drinks distributor representing Blackwell, Elements 8, Santa Teresa, Skipper and Pink Pigeon on the rum side, as well as a host of other spirits and liqueurs. The bar was in the basement of the building, well decorated with barrels everywhere, ambient lighting and we immediately clocked the wide selection of rums available. We took our seats (about 20 places were set out). We were welcomed with a cocktail, which we initially identified as “ooh, a chocolatey daiquiri”, later informed to be a mulata daiquiri using the rather wonderful Elements 8 cacao rum (more on that later), some nibbles, introductions to our table-mates (fans of lesser-spotted Seychellois rum Takamaka Bay) and the event kick-off with Stuart from Mangrove. Stuart walked us through the history of sugar cane and rum, where we learnt some new facts such as sugar cane is a grass, with as many as 37 different species growing around the world. Of course then it was on to the tasting. First up, repping the Spanish-style of rum-making was Santa Teresa Gran Reserva. Being Venezuelan, the rum is a blend of rums aged between the minimum permitted in the country (two years) and five years. It’s a simple, dry rum with a fairly short finish, which was quite easy to sip but is probably better suited to cocktails. Next up was the Santa Teresa 1796. In common with all Santa Teresa rums, it doesn’t bear an age statement as it’s a Solera blend of rums, aged between five years and 35 years. Also very dry, and as you would expect from a blend of older rums, the taste was much more developed, with a long, smooth finish. We’ve tasted a few of the Santa Teresa rums now and it’s a brand we keep meaning to purchase a bottle from as they’re a solid offering. Chatting with Stuart afterwards, we also found out that the Santa Teresa distillery back in Venezuela also plays its role in developing the local economy, rehabilitating former gang members by employing them at the distillery and organising rugby training to instil discipline. Back to the masterclass and after the Spanish-style ‘rons’, Stuart then moved us on to English-style rums, illustrated by Blackwells, a collaboration between Island Records founder Chris Blackwell and Appleton’s master blender, Joy Spence. It’s a pot still rum that’s had minimal ageing and has had caramel added to develop the colour. This was presented as a rum to be mixed and a bottle of Fever Tree ginger beer was passed round to add a dash to our glasses. It’s also where we learnt that Goslings rum has trademarked the cocktail name Dark & Stormy, so for legal reasons, this was, ahem, given a different name. It would have been good to have an agricole rum to compare the smells and tastes against the Spanish and English-style rums, but as there isn’t one within the Mangrove distribution, we can’t complain too much. The Elements 8 flavoured rums were saved until last to avoid blowing our taste buds. The St Lucian spiced rum has the spices added to the barrel for six months maturation and infusion, this barrel-infusion being its unique selling point. Along with the spices, honey is also added, and it had very strong (but pleasant) honey notes on the nose and in the taste. I like my honey so it was right up my street. The final rum was the Elements 8 Criollo Cacao infusion, again St Lucian rum barrel-infused with the Criollo cacao bean to give a mild chocolatey flavour. I (Rebecca) really liked this rum, both for sipping and in the mulata daiquiri. And that’s a good job because pouring this taster and chatting to Stuart meant we missed our chance to get behind the bar and mix up our own cocktails. 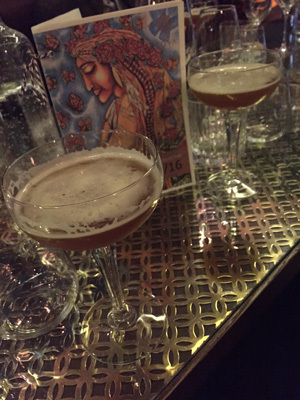 It’s worth keeping an eye on Coya’s events list as our table-mates were well seasoned in the venue’s previous spirit tasting sessions.